Measure approximately 3 inches up from the bottom of your horses tail bone This will vary based upon the height of your horse and length of his. You want the extension to fall to the fetlock area. 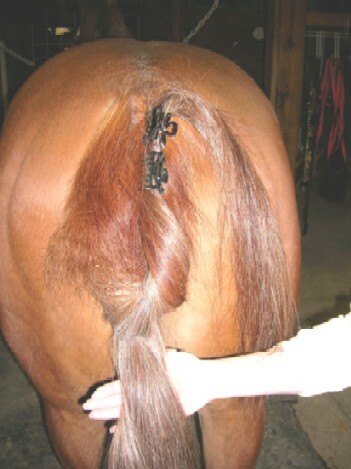 Next, in the center of your horse’s tail bone pick up 3 small sections of hair. 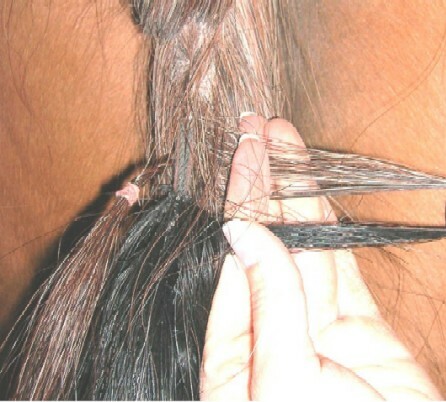 Thread the center section of hair through the loop of the extension. Make sure that the extension is laying flat against the tail bone. Now tightly braid the sections together. You only need to braid down 2-3 inches, then secure with a rubber band. 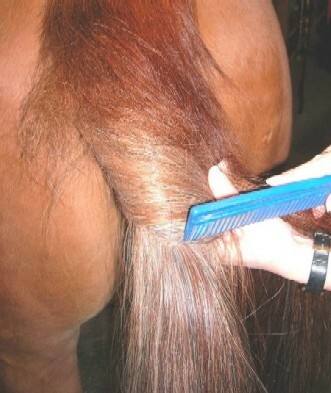 If you are going to be Hunter Braiding your horse's tail you are finished. 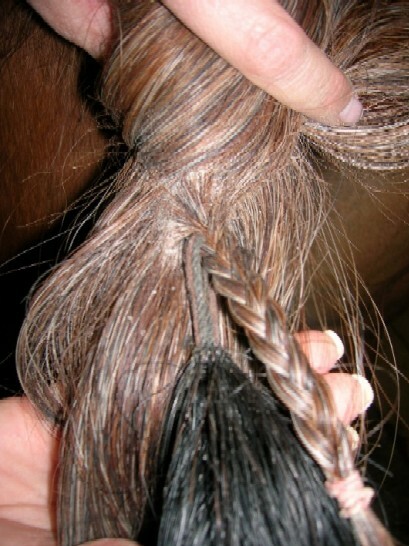 Drop your upper hair back down and gently brush and begin your Hunter Braid. If you are Not Hunter Braiding the tail then you will want to do a couple more steps to further secure your Tail Extension.